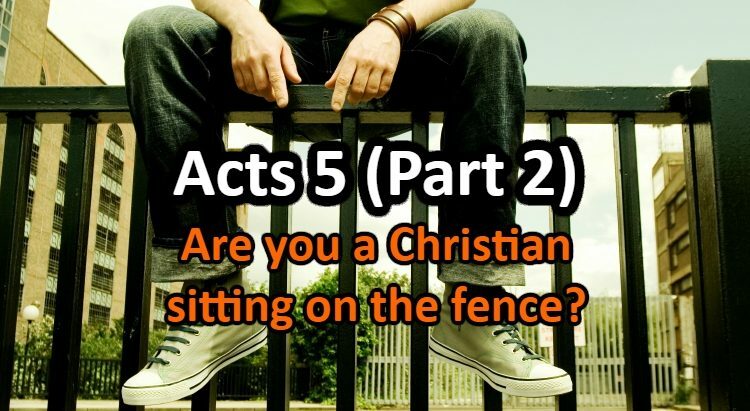 Acts 3 - The apostles Peter and John heal a lame man from birth sitting on the gate of the temple. Peter delivers his second sermon about Jesus and faith in His name. This article is a biblical study of this chapter and will show you dear reader how important is faith in the name of Jesus. 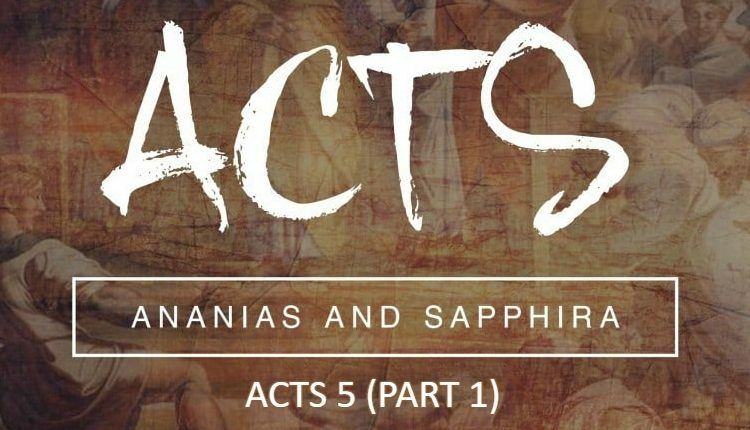 In the second chapter of Acts, we saw how the apostles received the promise of the Holy Spirit and how Peter delivered his first sermon to the devout Jews who were there for the feast. In chapter 3, Peter and John go to the temple for prayers and encounter a man lame from his birth asking for alms. This would the first occurrence of a miracle of healing in the New Testament after Jesus ascended. Let’s look into chapter 3 in detail . Immediately the beggar is healed! Acts 3:7 – And he took him by the right hand, and lifted him up: and immediately his feet and ankle bones received strength. The beggar asked for money but Peter did not give him what he asked for. He gave him much more: legs. In other words, Peter gave him the means to get up and go work for his money. He doesn’t need to sit at the gate of the temple anymore to ask for money. Praise God! How often do we ask God for something but instead of getting what we want, God gives us something else? This has happened to me many times. Many times I asked God for patience which is something I lack, only to realize later that I was put in hard situations where much patience was needed. This can happen many different ways. This is why we should trust God whatever happens. He truly knows what we need and what is our best with our eternity in mind. We can count on God giving us what we need even if we don’t understand what is going on. Many times we realize it much later. It is beautiful to me that Peter took the beggar by the hand to lift him up. We do need that helping hand from God. God wants us to have victory in this life and to be healed whether physically or spiritually. He will tell us what to do and He will talk to us in our circumstances but we often fail to hear His voice, to understand His will. Make no mistakes my dear friend, He knows this and His love is so great He will be there even lifting us up. Rely on Him, trust Him! The apostles Peter and John did not have money to give to the beggar but they had the power of the Spirit of God with them. The beginning of the church was not helped by human resources. It was merely the Spirit of God moving and God knew what He was doing. 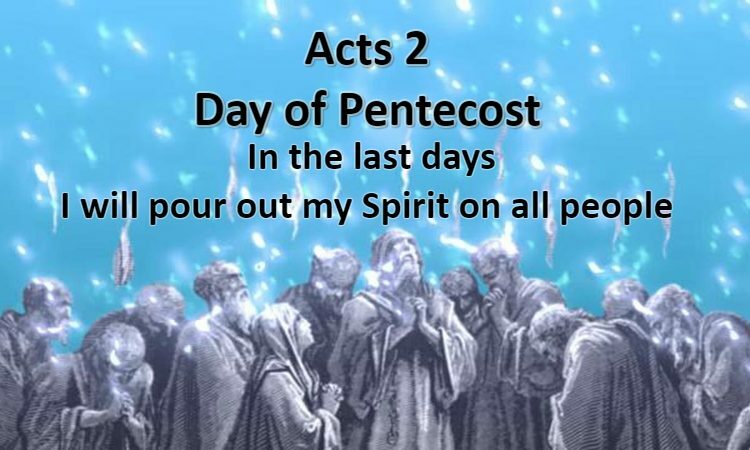 In chapter 2, we saw that the apostles started to speak in different tongues after being baptized in the Spirit and now we see that they started to heal people from sickness by the same Spirit. They had no money but the church was growing. It was not the money that made the church grow and neither was the sword used to spread a new religion. It was God who was moving using these men. Praise God for using ordinary simple men! We can lose health, lose money and many worldly and temporary things. While living these hard circumstances, we can think we are being cursed while exactly the opposite is happening. It is when we start losing in these areas that we discover how dependent we are on God, how He is the one who sustains us and how we can trust Him all the way. It is then that we start living more and more in faith because we start seeing how He is faithful. Then, the more faith we have, the more He bestows on us from His power and His Spirit. This is how we grow spiritually into mature Christians ready for anything: to live for Christ or to die for Christ according to what His will is for any of us! I only wish today’s church leaders would learn from this. Instead of focusing on what their church building needs, focus on what their flock needs, on what they can provide them, how they can care for their salvation and more importantly how they can lead them into a real living relationship with Christ. Freely we have received Jesus said, we should freely give. Peter didn’t want these Jewish men thinking it was by his own power or holiness that the healing was done. My Catholic brothers and sisters. The Catholic Church canonizes Saints after their death by using miracles as evidence for piety and holiness. But Peter is saying it was not their holiness that was responsible for healing the lame beggar. He and John were only ordinary men. It was the God of Abraham, of Isaac and Jacob who did this deed and God did it through the name of Jesus Christ and through faith in His name. That name is now higher above any other name and has authority. The one with that name is now sitting at the right hand of God. Peter repeats some things from his first sermon about the passion of Christ and about his Jewish listeners being responsible for putting Him to death. Peter wanted his listeners to know that their own prophets predicted that Christ was to suffer. 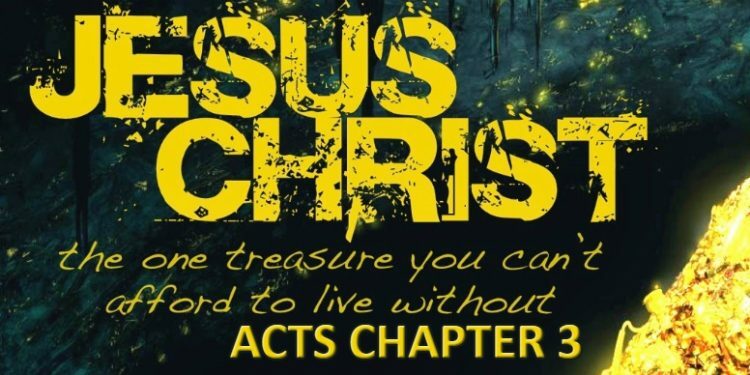 Acts 3:18 – But those things, which God before had shewed by the mouth of all his prophets, that Christ should suffer, he hath so fulfilled. Peter probably had many scriptures in mind when he said this (probably Isaiah 53 is included in there). 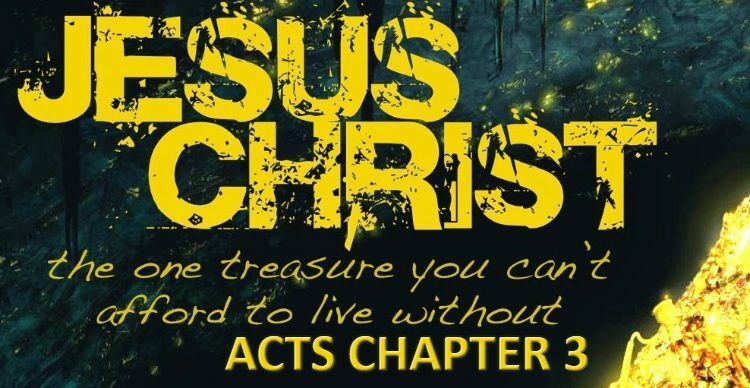 Acts 3:19 – Repent ye therefore, and be converted, that your sins may be blotted out, when the times of refreshing shall come from the presence of the Lord. Just like in Acts chapter 2, the word “repent” comes back again before conversion (Acts 2:38). This conversion would allow sins to be forgiven and the times of refreshing to come through the Holy Spirit. This was available to them now after Jesus’ first coming. Repentance is therefore not optional. It is always the first step before conversion. It is a required condition of the heart and conscious decision of the mind. When we repent, we will be converted, forgiven and will receive the Spirit. The apostle Peter uses also the Old Testament scriptures to show that all this was already predicted by the prophets. Let’s look at the end of the chapter. Our Lord Jesus Christ is coming back a second time to restore a new heaven and a new earth. Peter wants his listeners to understand who this Jesus is. They got everything right, the Old Covenant promises of God, they are the children of the promise according to the flesh but they are missing Jesus. It is through Jesus that they will receive all these promises if they recognize Him. My friend, Peter’s second sermon after he healed the lame beggar tells us something. It is the name of Jesus that is above every other name. It is highly exalted above everything, that is why calling on that Name will draw power from the throne of God. It is faith in that Name that gave legs to the lame man, it is faith in the same Name that will heal us now, faith in the same Name that will forgive our sins and cleanse us from all unrighteousness. It is faith in that Name that will transform us into new creatures who live according to the Spirit of God and move in the power of the Spirit. So let’s stop using labels on people and exalting other names, names of churches, names of denominations (Baptists, Pentecostals, Charismatics, etc. ), names of people (Luther, Calvin, Popes, etc.) or canonized saints (Pio, Charbel, etc.). We are either born again or not, we are either followers of Jesus Christ or not, we are either part of His sheep or not. It is ONLY HIS NAME that saves and there is no other name under heaven by which we can be saved. May God bless you dear reader through the Mighty Name of our Lord Jesus Christ!